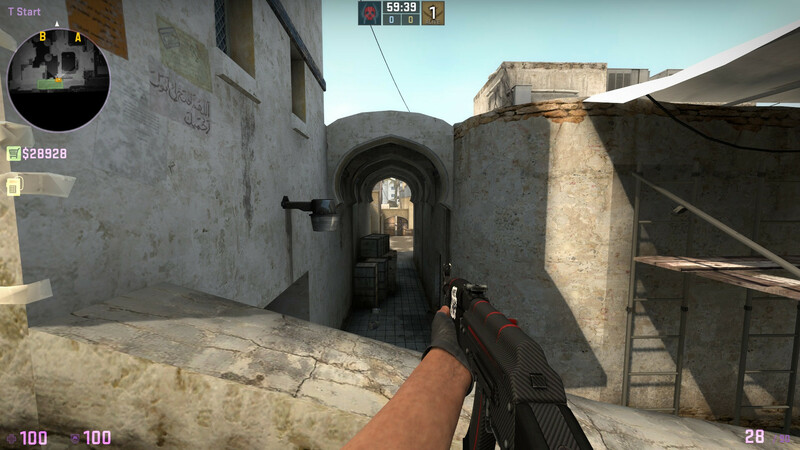 This guide will show you how to shoot people through specific walls and doors in Counter Strike Global Offensive after the Operation Breakout update. 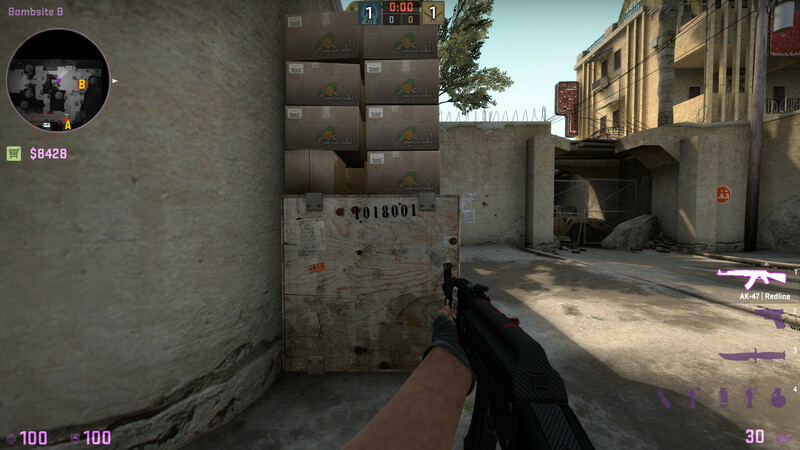 While penetration has been nerfed significantly for most materials, wood is now almost nonexistant to the AK47 or AWP, with some insane results on de_dust2. 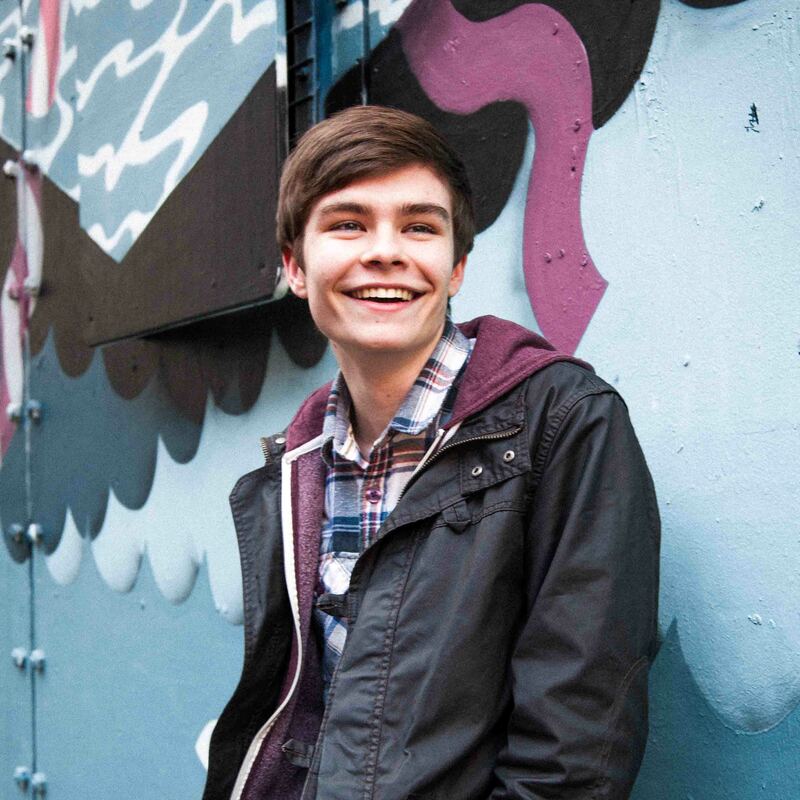 This was contributed by nextra. Almost no damage reduction (90%+ penetration). 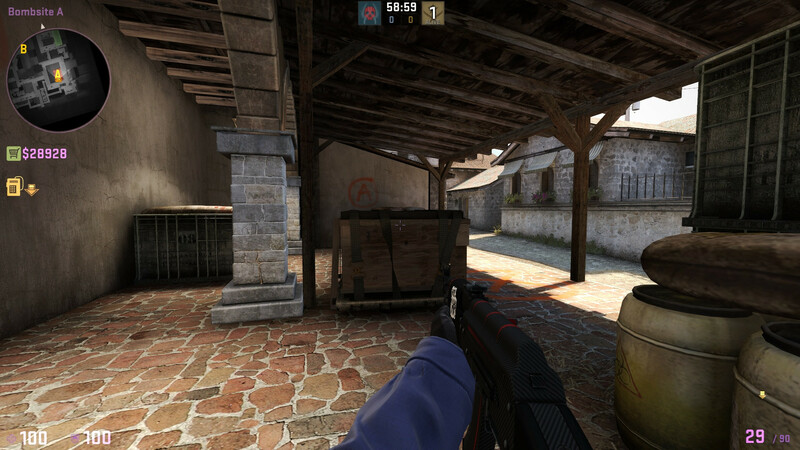 AK47 will one-shot-headshot armored opponents at medium ranges (like the one displayed in screenshot). Almost no damage reduction (90%+ penetration). 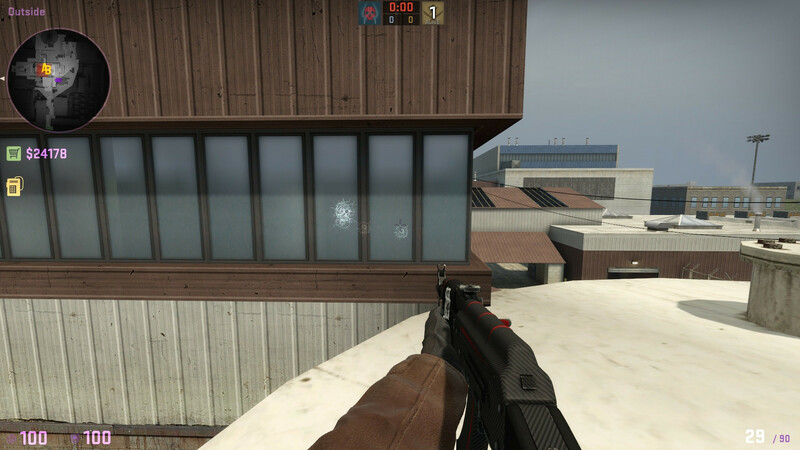 AK47 headshot will do almost 90 damage to an armored opponent from T base. Now very viable to spam. 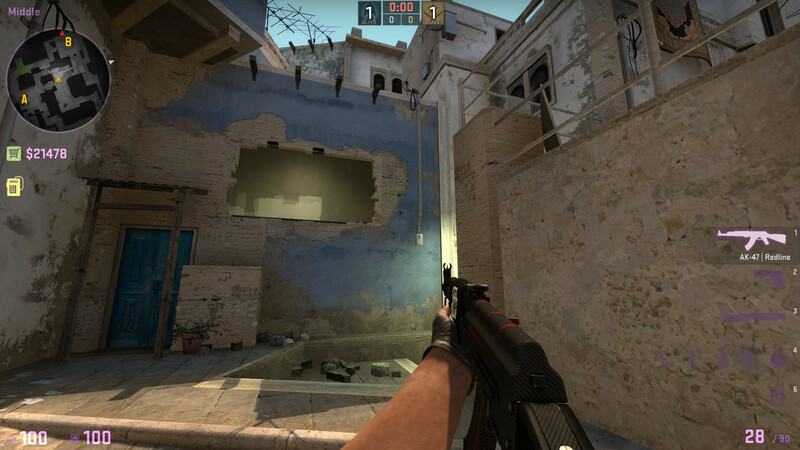 AWP will one-shot armored opponents, needed 11 shots before. 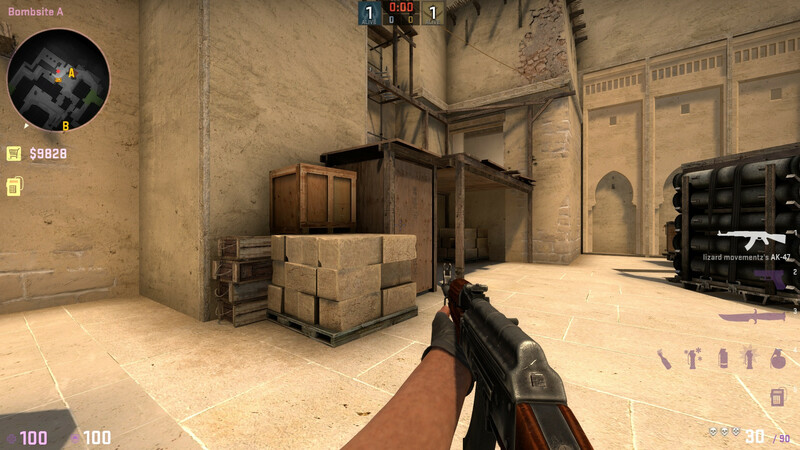 AK47 will only receive a 60% damage penalty, 3 headshots will kill an armored opponent whereas 12 were needed before. 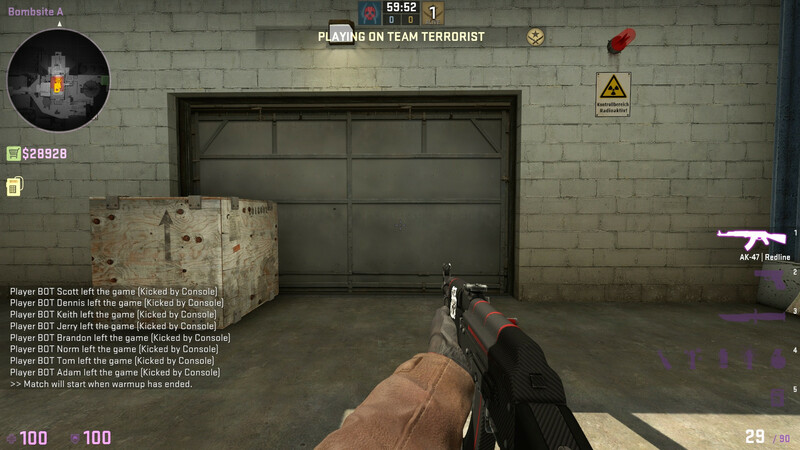 This is not a safe spot anymore. 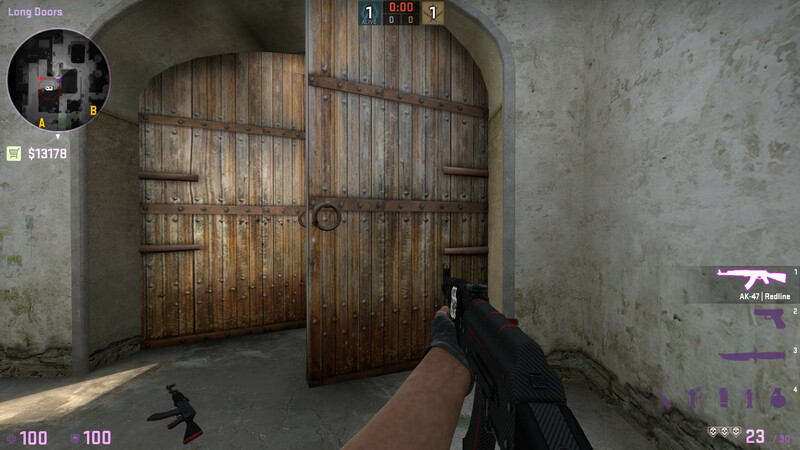 You can two-shot-headshot an armored opponent through both doors with an AK47. 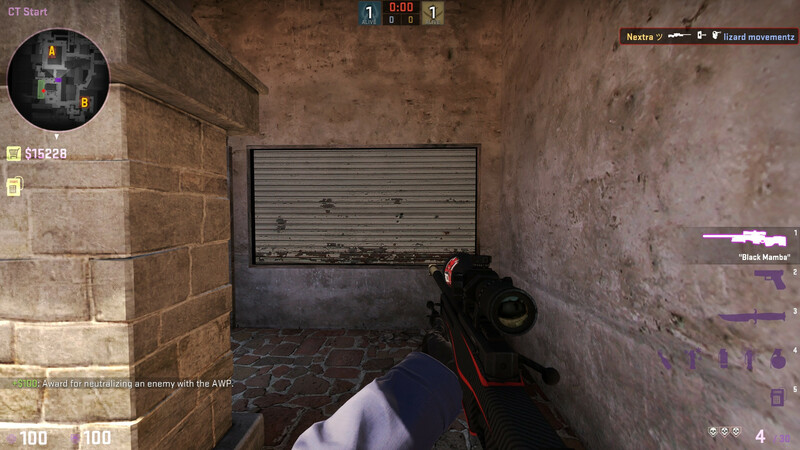 You can one-shot-headshot an enemy through both doors and the crates with an AWP. 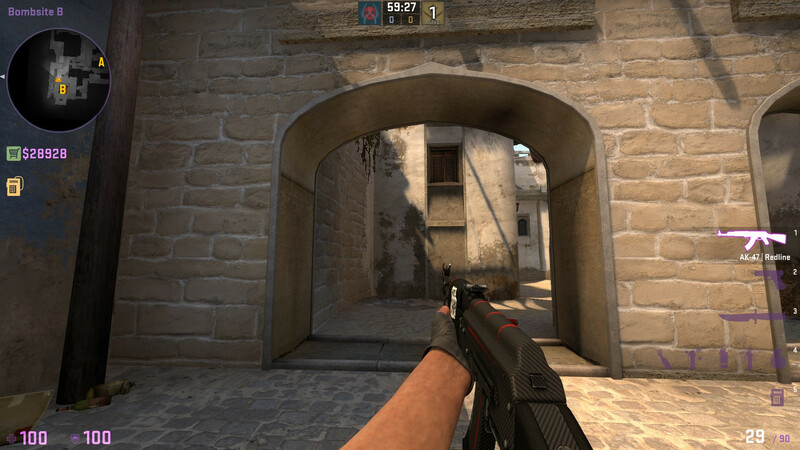 No longer penetrable with AK47. 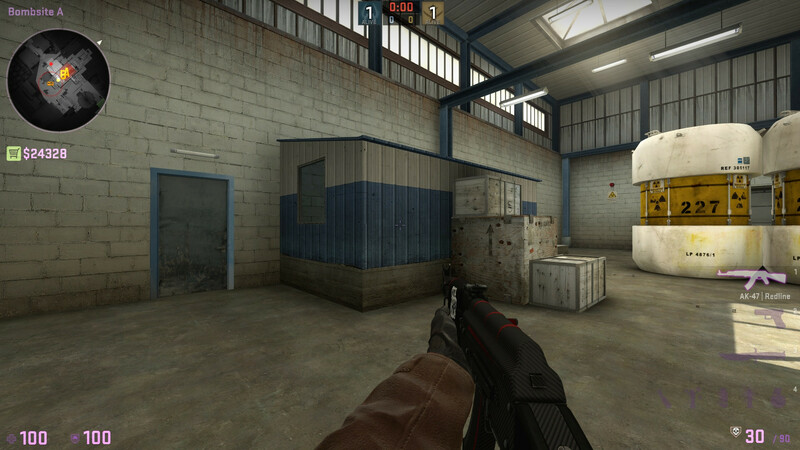 Popular spot in competitive play. Almost no damage reduction (90%+ penetration). 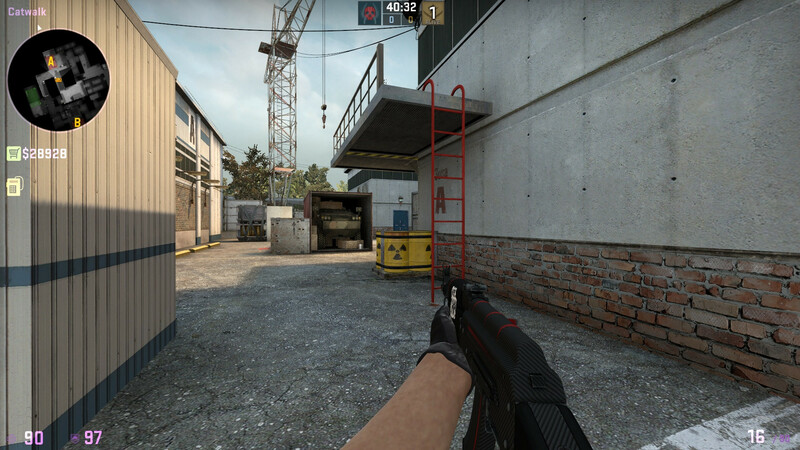 AK47 will one-shot-headshot armored opponents from connector. Almost no damage reduction (90%+ penetration). 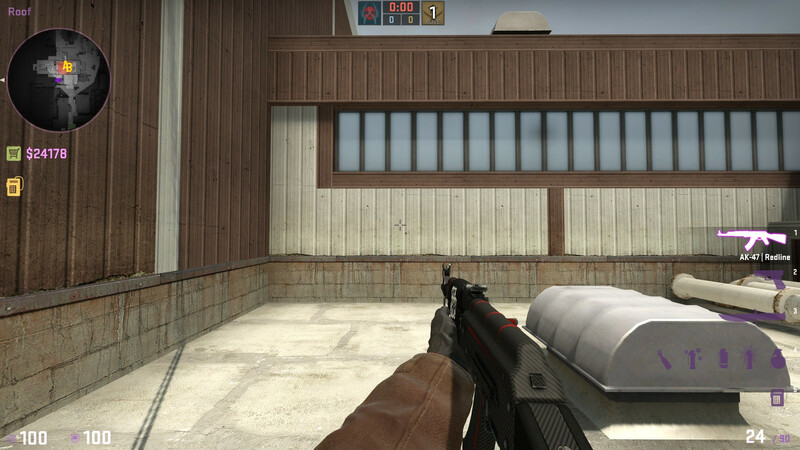 AK47 will one-shot headshot amored opponents. 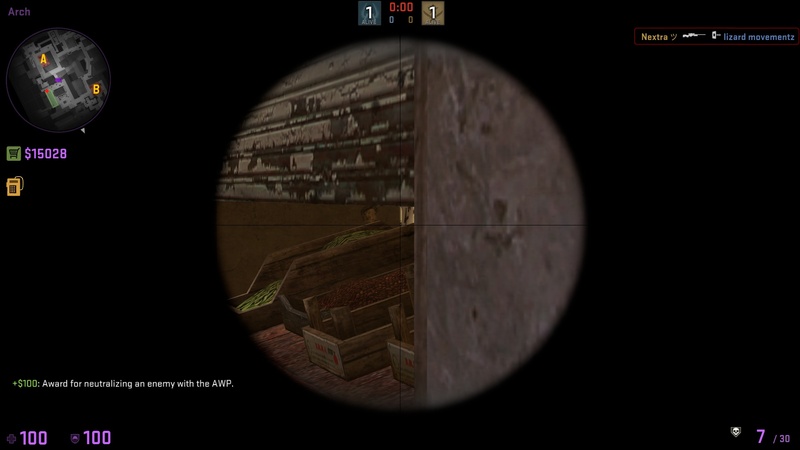 There are some weird angles where a shot will not penetrate at all. 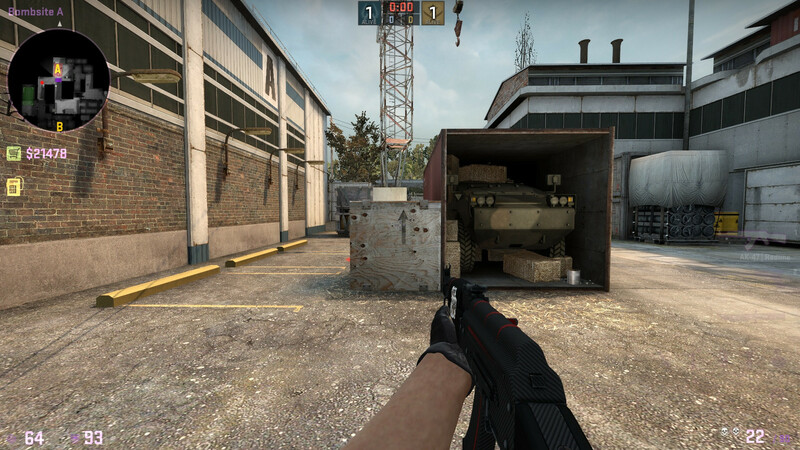 But in general this is the same firebox with full penetration. 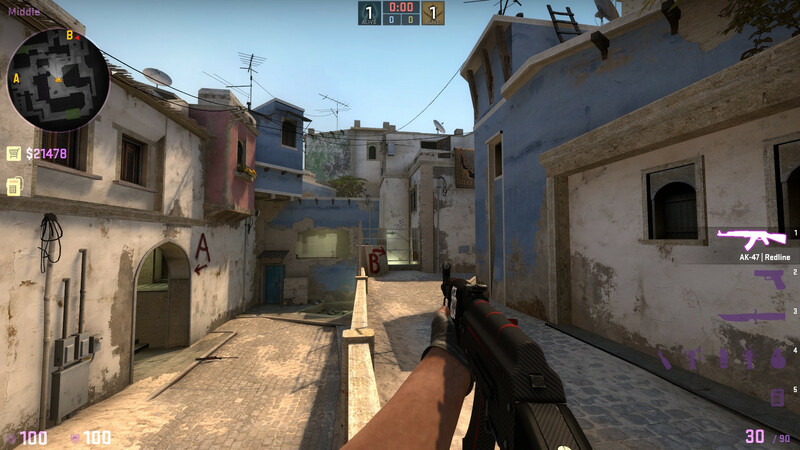 An AWP will one-shot an armored opponent from T ramp. 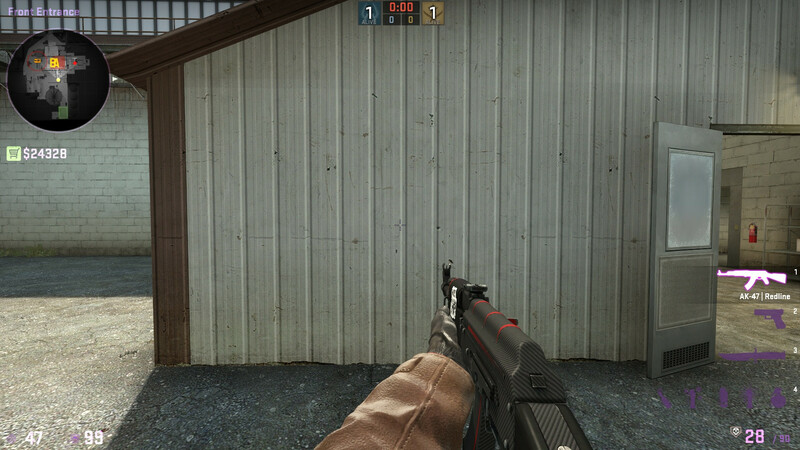 This specific sloped and differently colored part of the wall has a different material and is still penetrable. 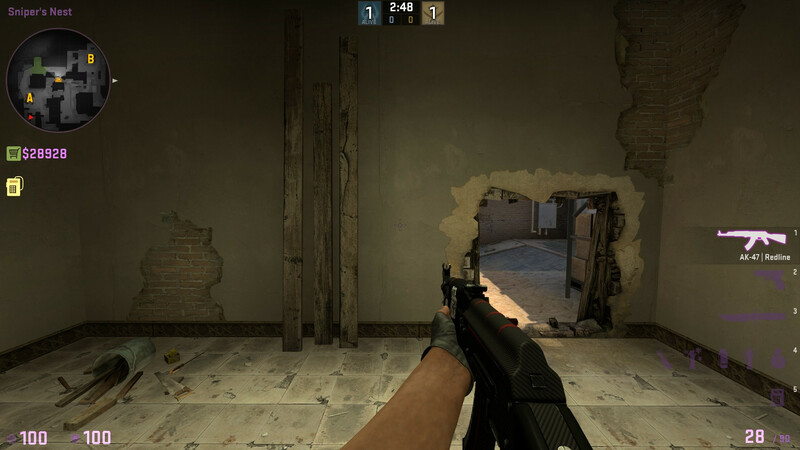 This left wall is no longer penetrable. 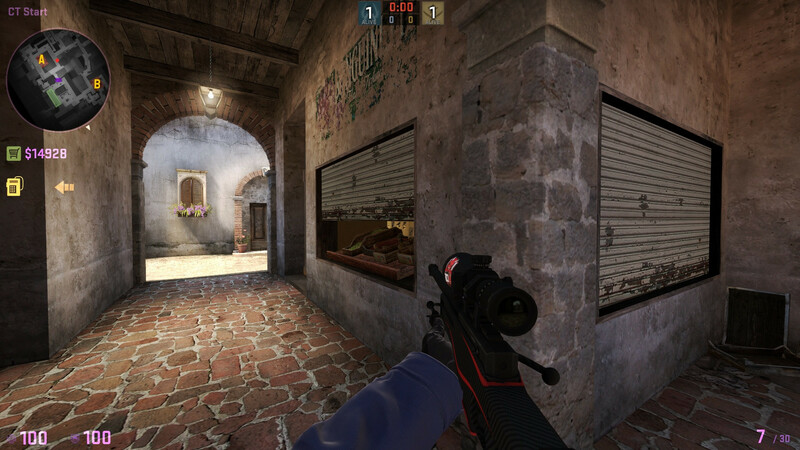 Only AWP penetrates it now. 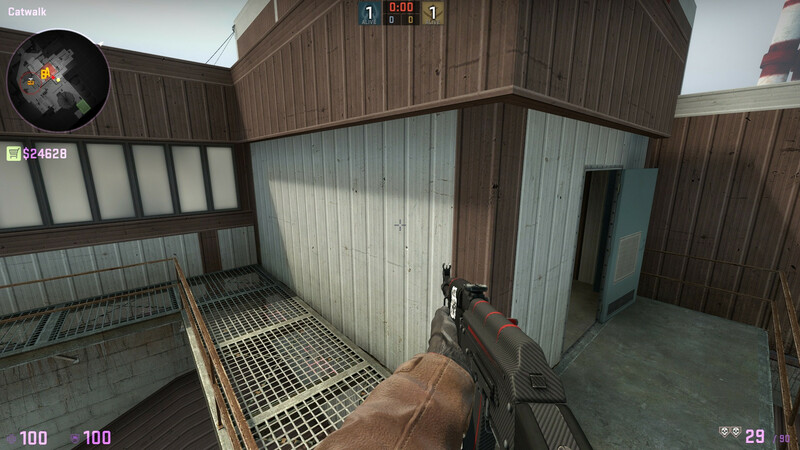 This rightmost part of the wall is now a one-way-wallbang due to material inconsistency (inside = plaster, outside = default). 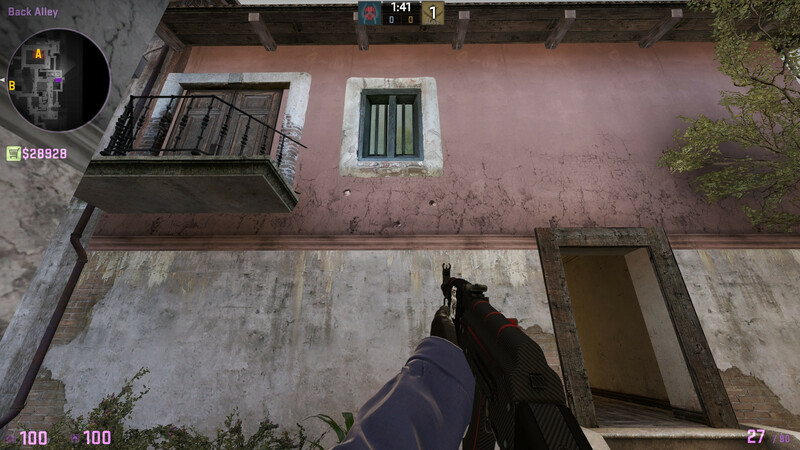 You can shoot from the inside to the bombspot but not the other way around. 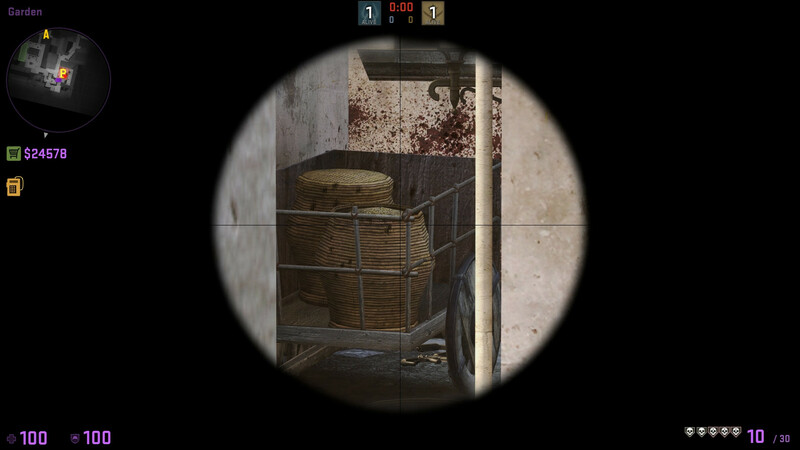 Even the AWP can not penetrate it from kitchen. 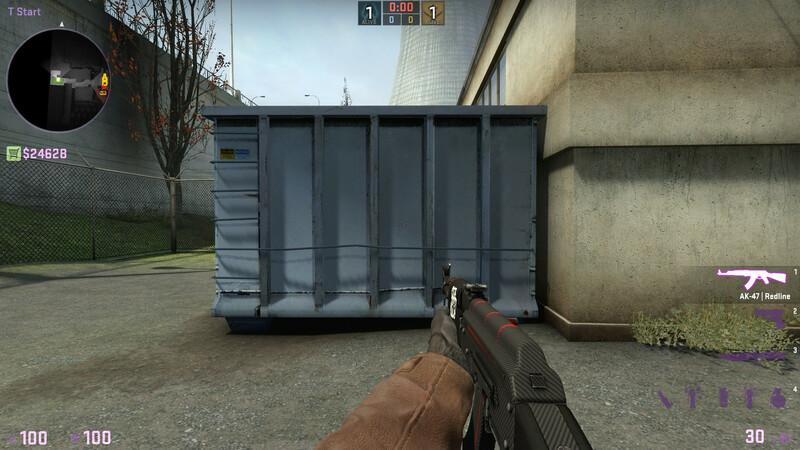 This is now a one-way-wallbang. Inside to outside still possible, outside to inside no longer penetrable. 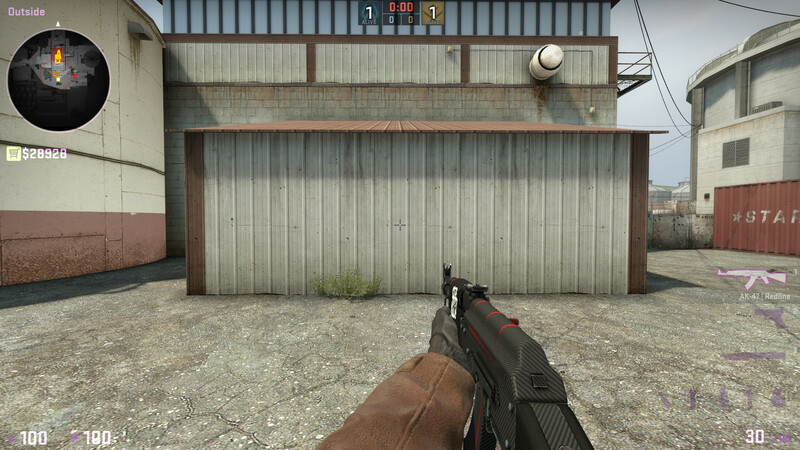 This is now a one-way-wallbang. Inside to outside still works, other way does not anymore. 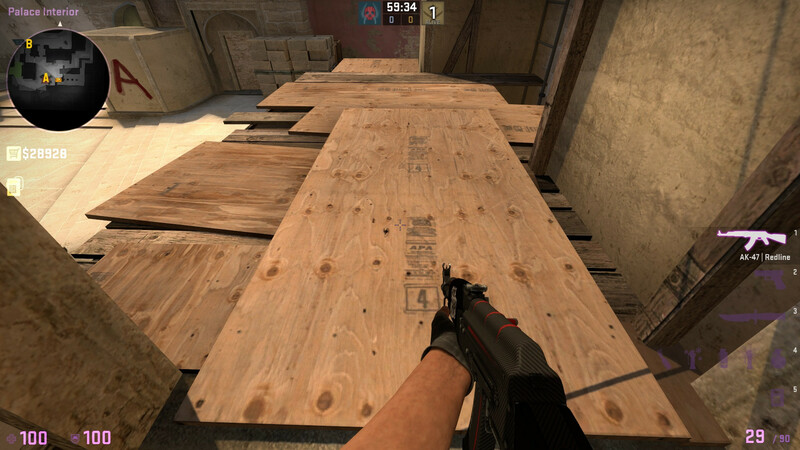 You can abuse the small wooden material plank to wallbang to palace. 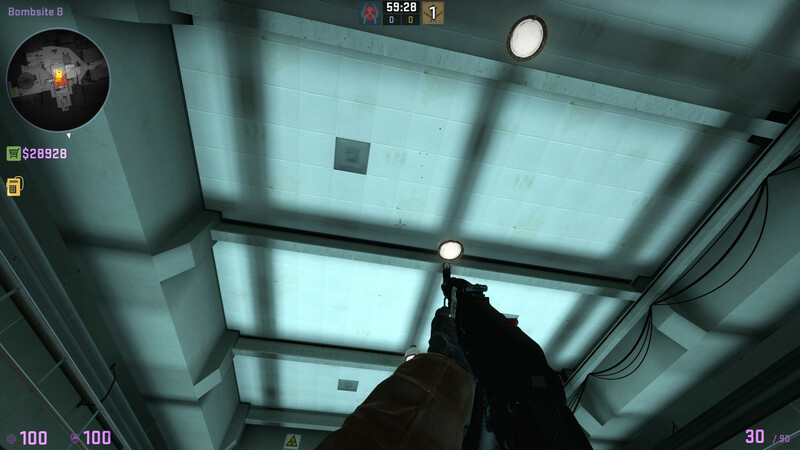 This is a very tight angle, but the AK47 can two-shot-headshot an armored opponent. Almost no damage reduction (90%+ penetration). 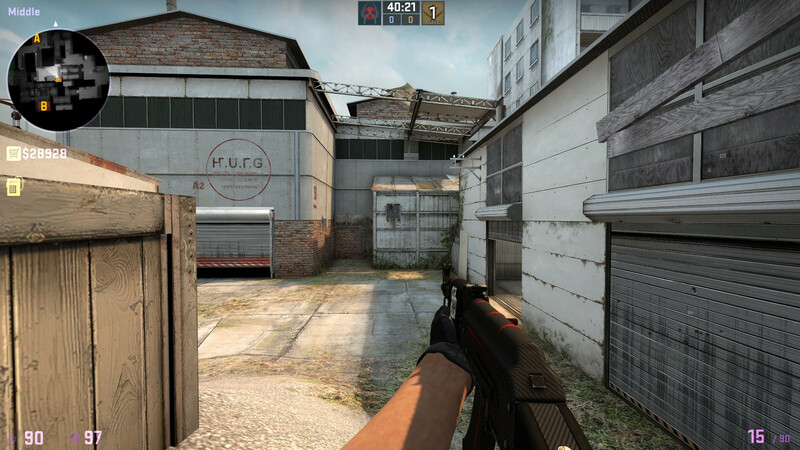 AK47 will one-shot-headshot armored opponents from anywhere inside, and even from a decent distance outside. 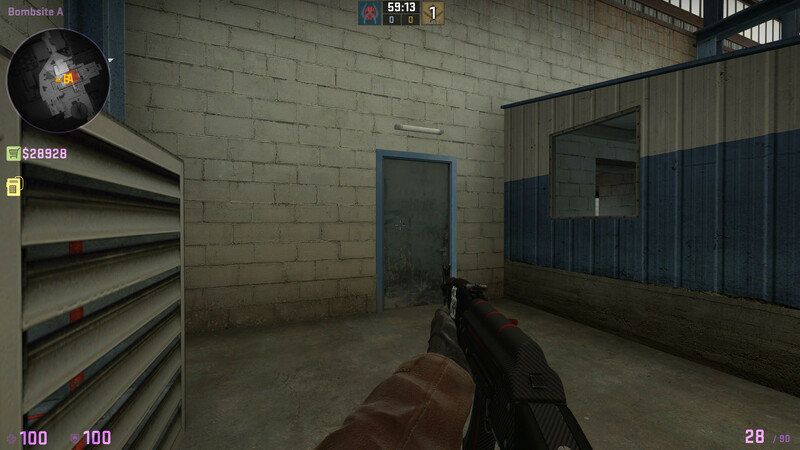 UPDATE: Still penetrable with AK47 but you need to shoot straight up. 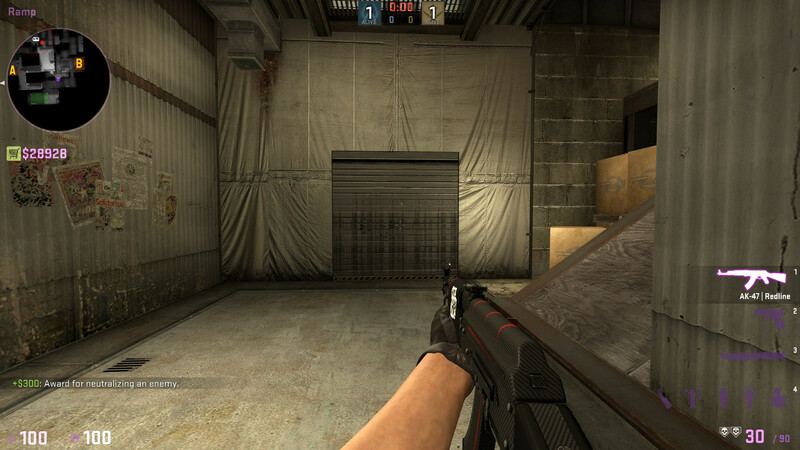 Due to the thicker ceiling even the slightest angle will result in no penetration. Twice as much damage as before (70% penetration). 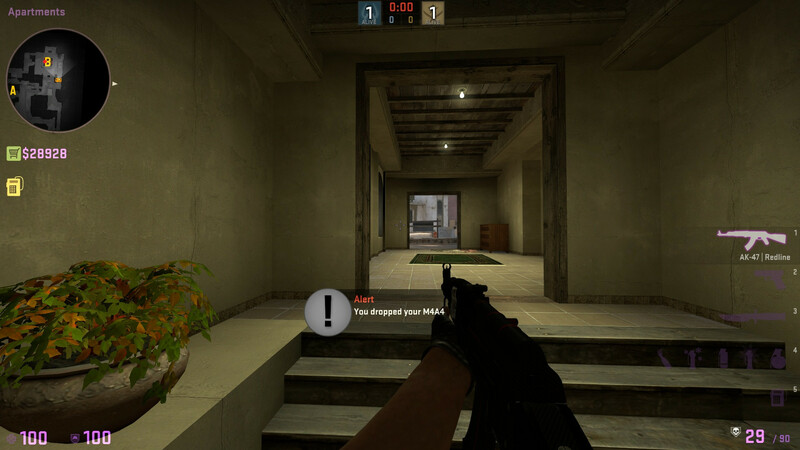 AK47 will two-shot-headshot an armored opponent. Glass material. Damage reduction by only 2-3 damage points. 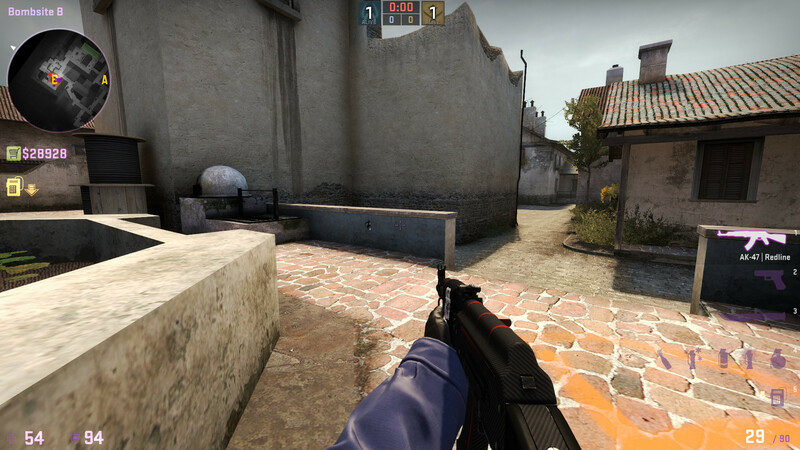 AK47 will do >90 damage or one-shot-headshot armored opponents anywhere inside. 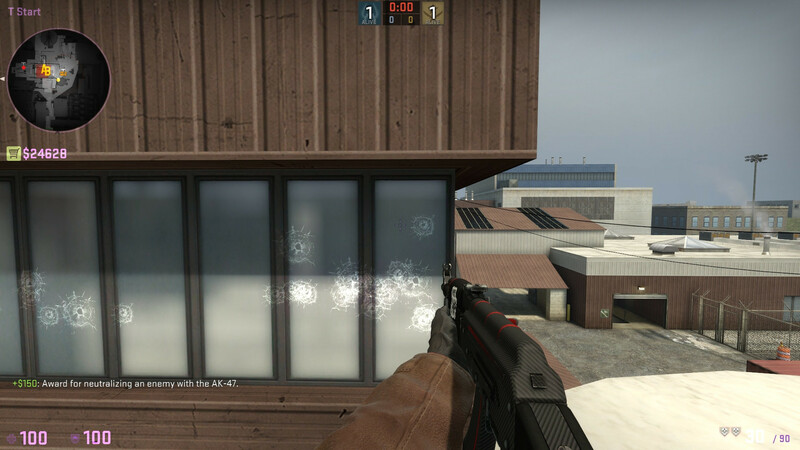 Around 30% damage reduction when penetrating the glass panes on both sides of the building. 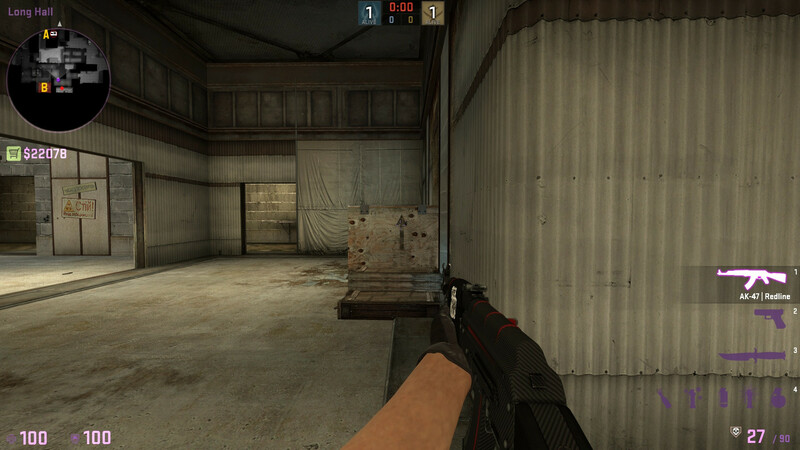 AK47 will two-shot-headshot an armored opponent on catwalk. 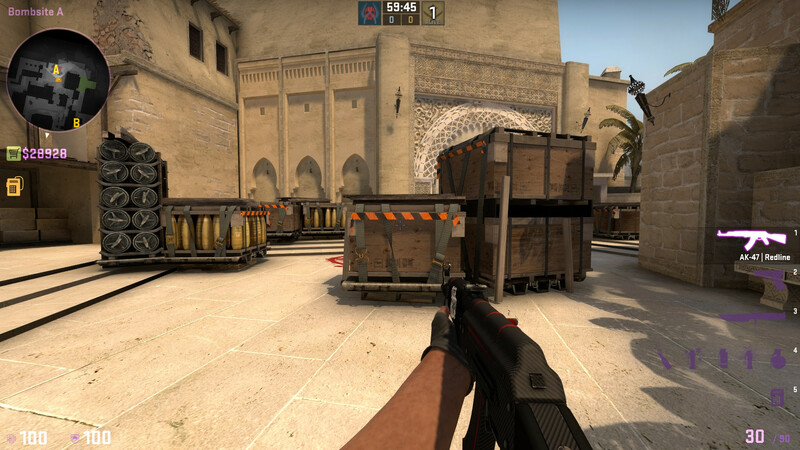 Similar to Dust2 the penetration has increased drastically. 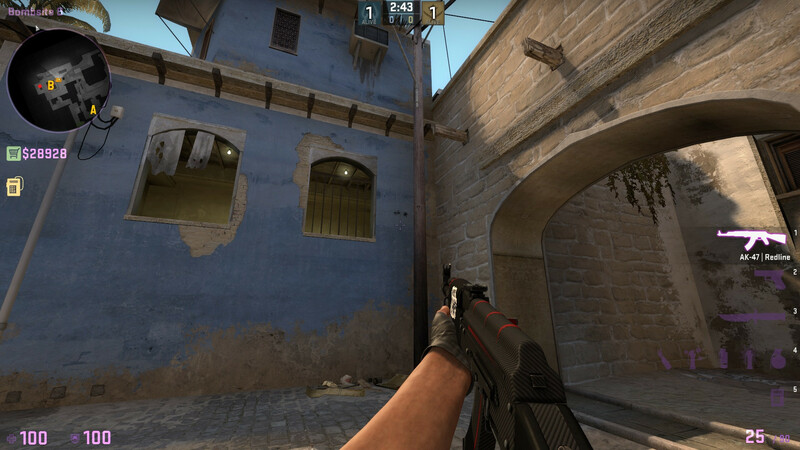 AWP one-shot and AK47 two-shot-headshot. 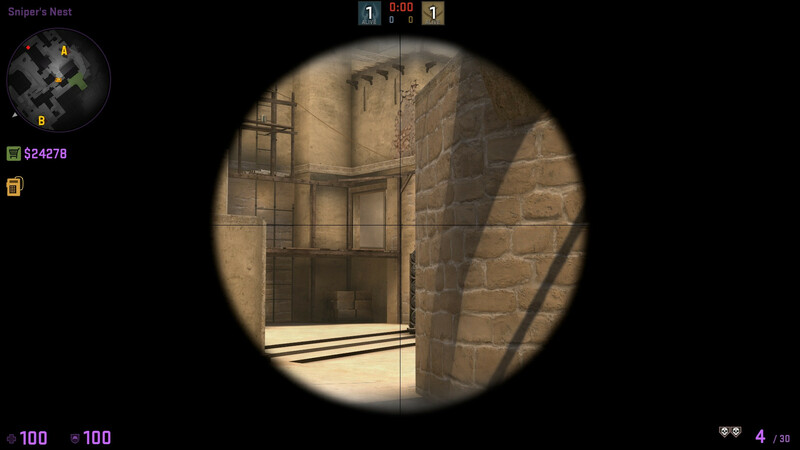 AWP can one-shot-headshot an armored opponent at Arch. 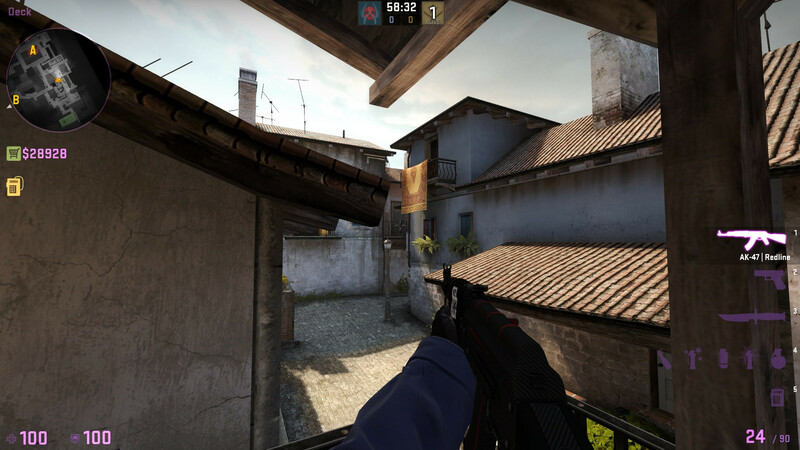 At this specific angle the AWP can one-shot-headshot an armored opponent that peeks from mid to arch. 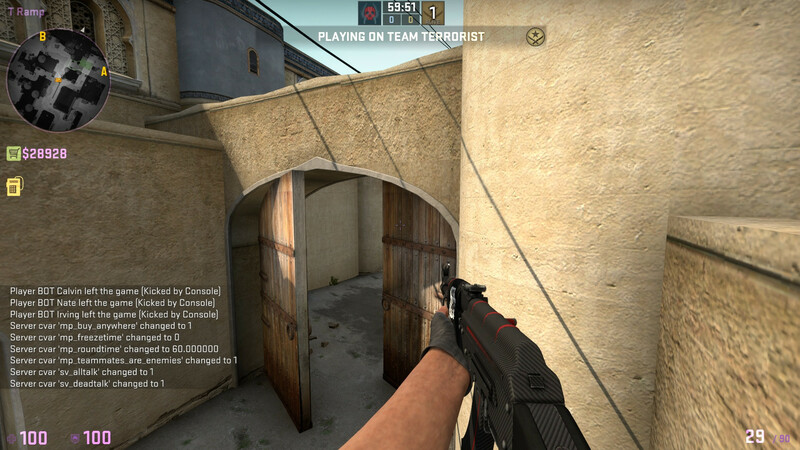 This is a new wallbang angle. Damage reduction ~30%. 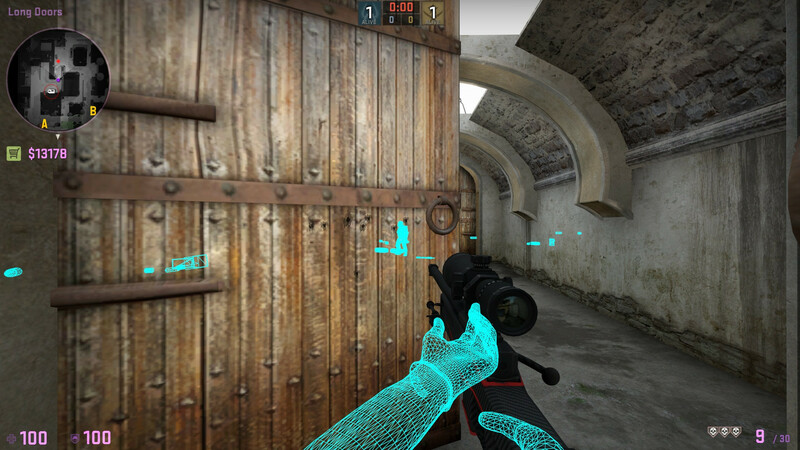 Two-shot-headshot against armored opponents. Almost no damage reduction (90%+ penetration). 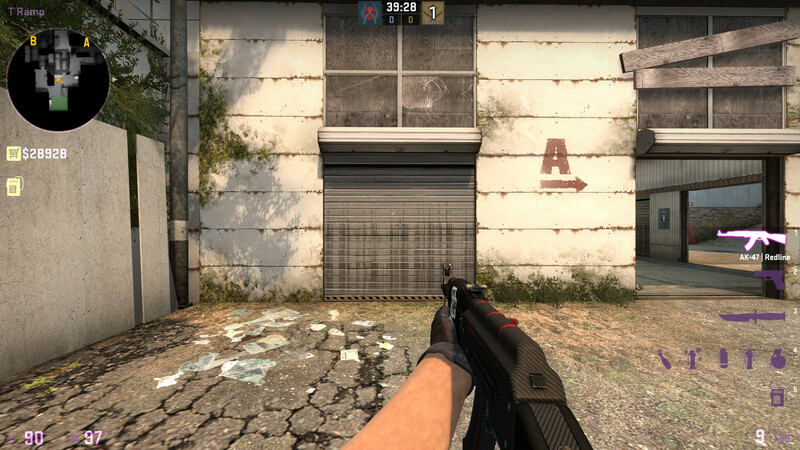 AK47 will one-shot-headshot armored opponents. 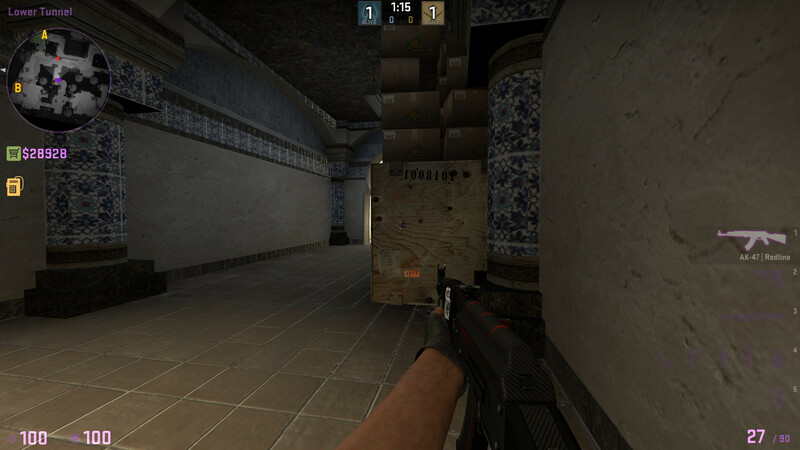 The very top of the crate (dark plank) is impenetrable, even from the sides that you can look through. 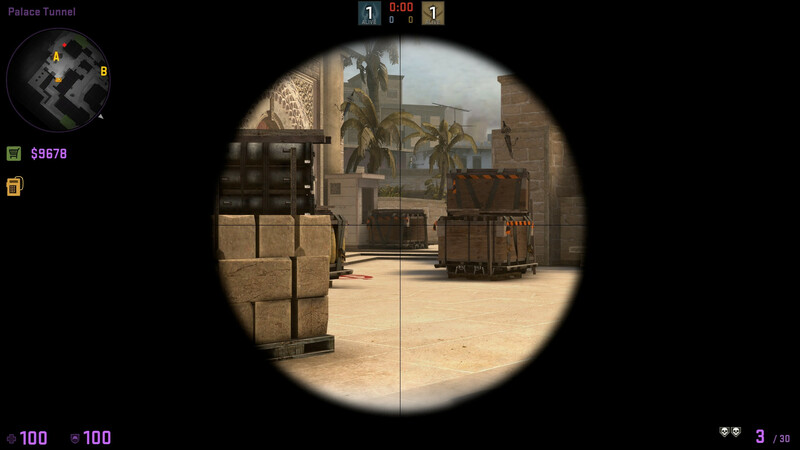 This is now a one-shot with the AWP against an armored oppnent. Even when shooting through both the braided basket and the wooden plank. 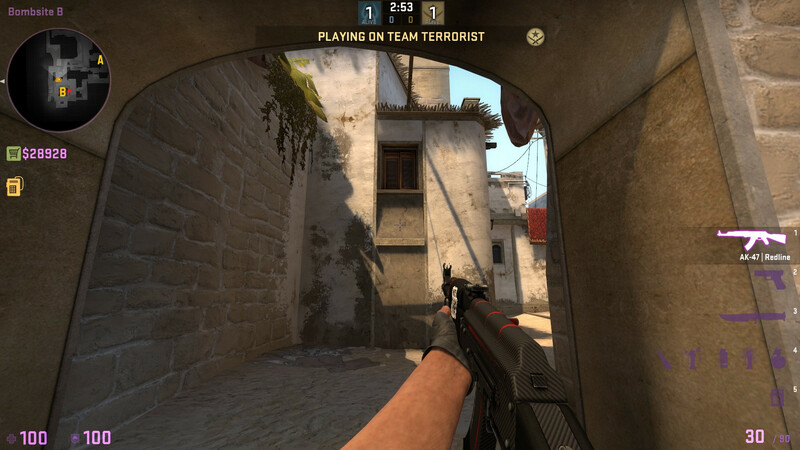 Two-shot headshot using AK47. No longer penetrable from an angle. 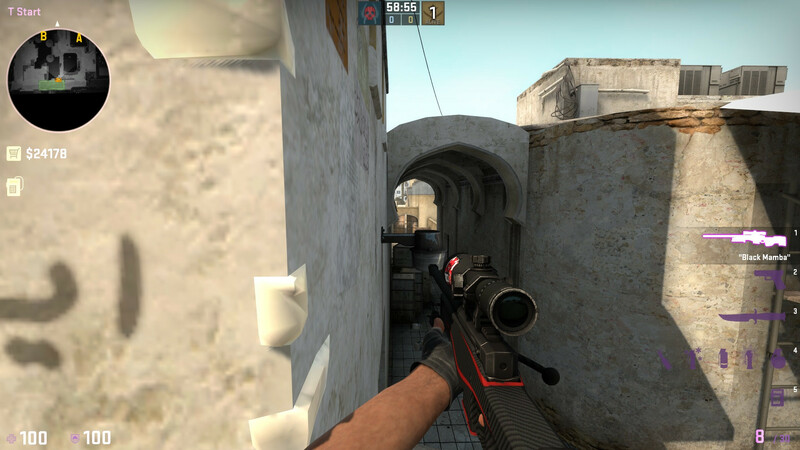 You need to shoot through it at a 90-80° angle to penetrate. 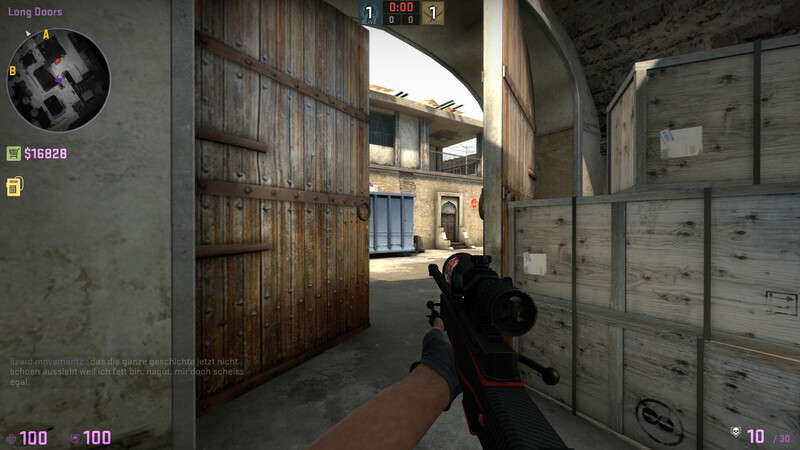 Makes shooting this useless for most situations. Almost no damage reduction (90%+ penetration). 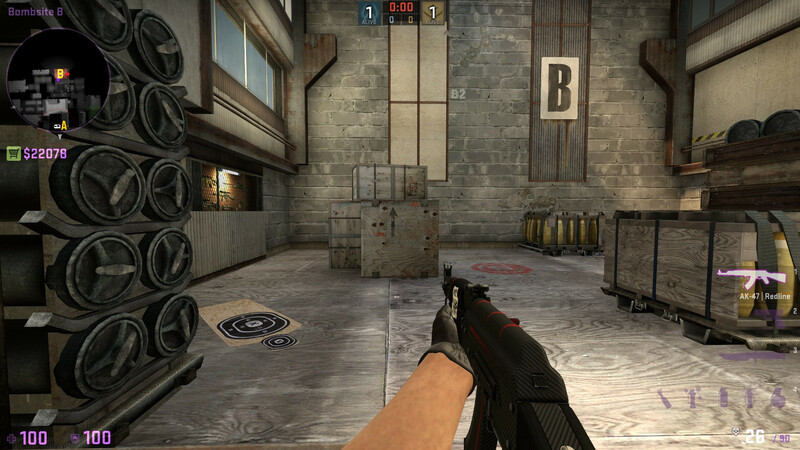 AK47 will one-shot-headshot armored opponents from range displayed in screenshot. Almost no damage reduction (90%+ penetration). 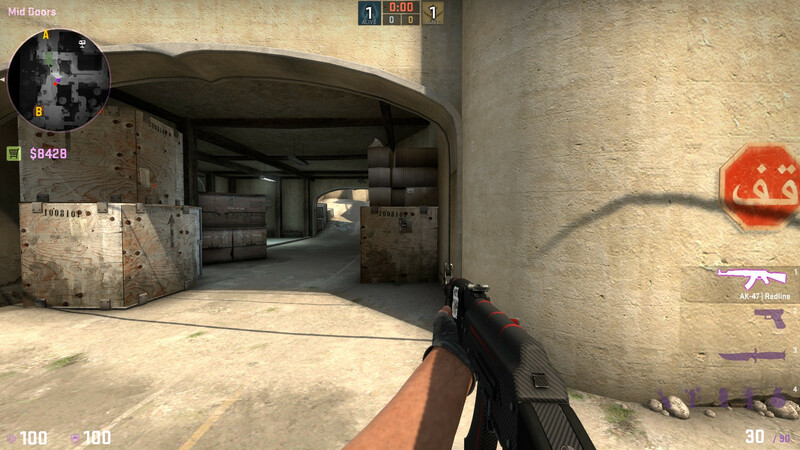 AK47 will one-shot-headshot armored opponents from range shown in screenshot. Damage reduction by ~1/2 for all of them. 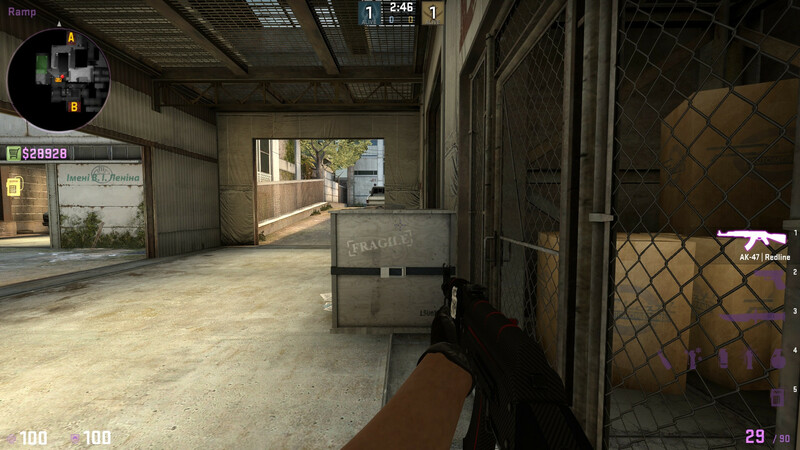 With AK47 this was a four-shot-headshot before, now it is a two-shot-headshot. Significantly more damage. 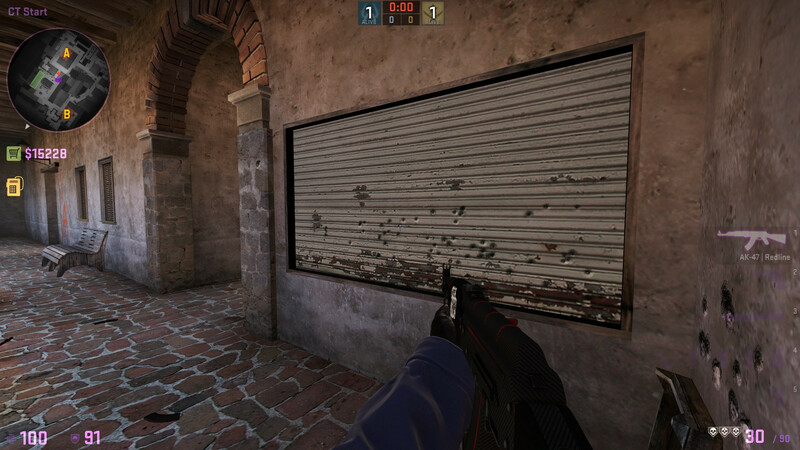 This is a metal door that is particularly interesting now. 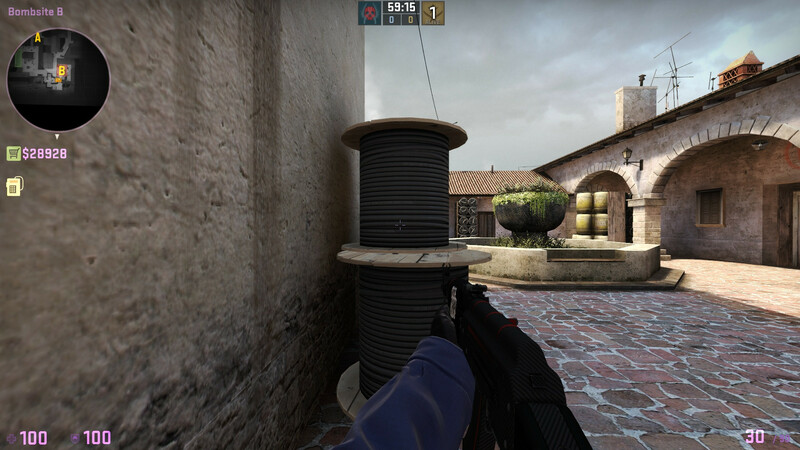 Roughly twice as much damage when penetrating this means banging to checkers is more viable then ever.